The history of Smith & Eddy Insurance can be traced back to 1902 when it was known as the McPhail and Cole Agency. In 1930, Mr. I. J. Eddy joined the agency as manager. In June of 1946, Major Robert J. Smith returned from duty in World War II and opened the Smith Insurance Agency. He competed with McPhail and Cole Agency until 1949 when it was mutually agreed to merge the two agencies. 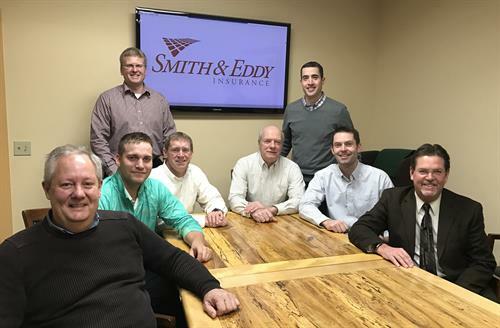 Mr. Eddy and Mr. Smith co-managed the agency until 1952 when the Smith and Eddy Insurance Agency was established. In 1957 Mr. Eddy announced his retirement. Mr. Smith promised him that as long as he was alive, his name would “remain on the shingle” and a desk would be available for him. Mr. Eddy passed away in 1978 at the age of ninety-six, however, his name still remains on the shingle. In 2010 the winds of change and expansion took hold of the agency. 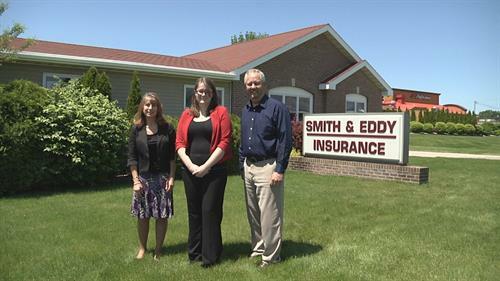 The Snyder Insurance Agency merged with Smith & Eddy Insurance, Inc in November of 2010. Around the same time, Scottville Farm Bureau Insurance agent Joe Knowles joined in and another merger occurred in February 2011 with the Villadsen Agency. This facilitated the need for our newest office location at 201 S. Main street in Scottville. The additional experienced personnel and established carriers have been a welcome asset when it comes to serving our clients.